Apple was established on April 1 1976, by Steve Jobs, Steve Wozniak and Ronald Wayne in Cupertino, California, to sell the Apple I personal computer kit. The Apple II, also invented by Wozniak, was introduced on April 16, 1977. The company introduced the Apple III in May 1980. In an attempt to compete with IBM and Microsoft in the business and corporate computing market. In 1984, Apple launched the Macintosh, the first personal computer to be sold without a programming language at all. The next year, Jobs resigned from Apple. Jobs comes back to Apple on February 9, 1997. 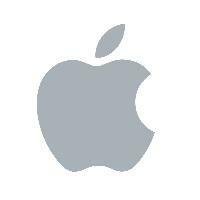 On July 9, 1997, Jobs acted as the interim CEO and began restructuring the company's product line. On August 15, 1998, Apple introduced the Macintosh 128K: the iMac. The iMac design team was led by Jonathan Ive, who would later design the iPod and the iPhone. The iMac featured modern technology and a unique design, and sold almost 800,000 units in its first five months. On May 19, 2001, Apple opened the first official Apple Retail Stores in Virginia and California. On October 23 of the same year, Apple debuted the iPod portable digital audio player. The product was phenomenally successful with over 100 million units sold within six years. In 2003, Apple's iTunes Store was introduced. The first generation iPhone was released on June 29 2007, iPhone 3G. And the first generation of iPod Touch on September 5, 2007. After years of speculation and multiple rumored 'leaks', Apple announced a large screen, tablet-like media device known as the iPad on January 27, 2010. On August 24, 2011, Jobs resigned his position as CEO of Apple. He died on October 5. Tim Cook took his place. Since almost 10 years, Apple is considered as the most admired brand in the world. Thanks to its series of innovative iPhone, iMac, iPad, iPod or software iOS and iTunes. The brand has 424 Apple Store in 16 countries. It’s the second high-tech firm in the world and the hugest market cap of all times.